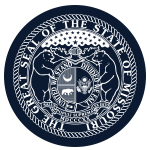 Mission: The Missouri Fire Safety Education / Advisory Commission works to provide training and continuing education to the fire service throughout Missouri. Function: The Missouri Fire Safety Education / Advisory Commission reviews and determines appropriate programs and activities to be offered by the community colleges, colleges, regional training facilities, fire and emergency services training entities and universities of this state to provide training to Missouri’s firefighters and emergency responders. Compensation: Members receive reimbursement for actual and necessary expenses. Member Requirements: Two members must be firefighters, with one serving as a volunteer of a recognized fire department and one serving as a full-time firefighter employed by a recognized fire department; two members shall be fire service training officers; one member shall be a person with expertise in fire investigation; one member shall be an insurer licensed to provide insurance coverage for losses due to fire; one member who provides fire safety appliances or equipment; one member who is serving as the chief of a recognized volunteer fire department; and one member serving as the full-time chief of a recognized paid fire department. Political Requirements: Yes, no more than five members may be members of the same political party. Chief of a volunteer fire depart.